If you’ve been following our blog, you are aware that last year New York City passed two bills that amended the New York City Administrative Code to expand protections for nursing mothers in the workplace. Employers with four or more employees are required to provide reasonable accommodations for employees to express breast milk. This new lactation accommodations law is now in effect. A covered employer must provide a clean, sanitary, and private space, other than a bathroom, that is shielded from view and free from public intrusion from coworkers, along with a refrigerator to store breast milk in the workplace. The lactation room must be conveniently located and reasonably near the employee’s work station. Employers may not limit the amount of time that an individual can use to express milk unless the employer can demonstrate that the time needed presents an undue hardship to the employer. 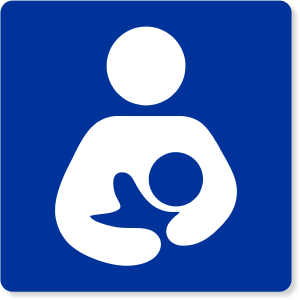 If providing a lactation room poses an undue hardship, the employer must engage in a cooperative dialogue with the employee to identify appropriate accommodations that meet the employee’s needs. explain that if providing all aspects of the lactation room normally required by law would create an undue hardship for the employer, the employer will have a cooperative dialogue with the employee to figure out the best possible accommodation to enable the employee to express breast milk at work. To obtain more information on this new law, visit the New York City Commission on Human Rights website.